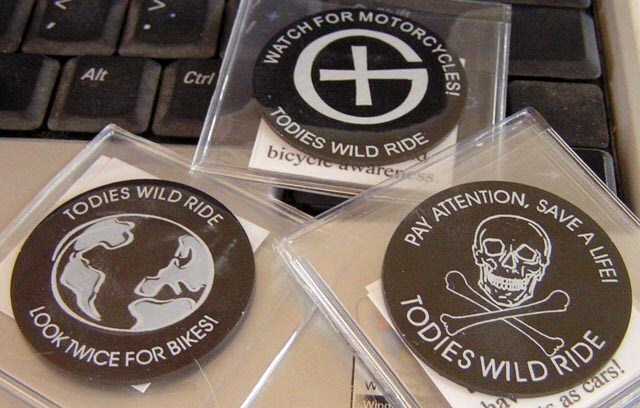 (TB30DNG) GeoCoins.net Trackable Token Geocoin - Todie's Wild Ride II: Helmets save lives! Todie's Wild Ride II: Helmets save lives! In the hands of THEINCREDIBLE4. Use TB30DNG to reference this item. Gallery Images related to Todie's Wild Ride II: Helmets save lives! One of the many tb's picked up on our 6 week vacation. We will move this around Colorado and get it back on the road again. I am sorry if there was a delay in getting it logged but we found some TB's did not recorded as we picked them up due to no reception I assume.